Craniosacral therapy is an extremely gentle, hands on therapy, which uses no manipulation. It involves the detection and facilitation of our inherent life force, which is felt as a subtle pulse, the cranial rhythmic impulse (CRI), in the cerebrospinal fluid surrounding the brain and spinal cord. Throughout our lives our bodies undergo a variety of physical and emotional stresses, which cause its tissues to contract. By sensing congestion and disturbances in the CRI, a craniosacral therapist will understand these restrictions and enable your body to release them. Because craniosacral therapy is so gentle it is suitable for those of all ages from the very young to the elderly. It can be of benefit to those with fragile and acutely painful conditions and may often be appropriate where other therapies are contraindicated, e.g. after an operation or accident. It has good results with chronic long term-pain and limited mobility caused by severe accidents and surgery. Craniosacral therapy may ease conditions throughout pregnancy and childbirth and is popular in the treatment of newborn children especially if the birth has been traumatic. 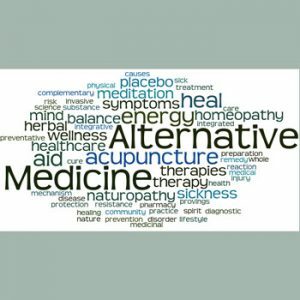 Craniosacral therapy is commonly used in the treatment of neck and back pain, migraines, neuralgia, chronic fatigue and stress and tension related difficulties. It may also be used for, post traumatic stress disorder, autism spectrum disorders, attention deficit disorder, learning difficulties and stroke and post-operative rehabilitation. After taking an initial consultation your craniosacral therapist will ask you to sit or lie on a couch wearing light clothing. They will then apply a very gentle touch to your body – generally at the cranium (base of the skull) and sacrum (base of the spine). The treatment is often experienced as deeply relaxing and you may become aware of heat, tingling, pulsations or other sensations within your body.